"Tenchi, listen we're here at the hot springs. And there are young ladies up there in the womens' bath. It would be really rude not to peek." The above info came from Elwin Blaine Coldiron, and was edited by yours truly (contact me). The image came from Sem Necessidade para Tenchi Universe. 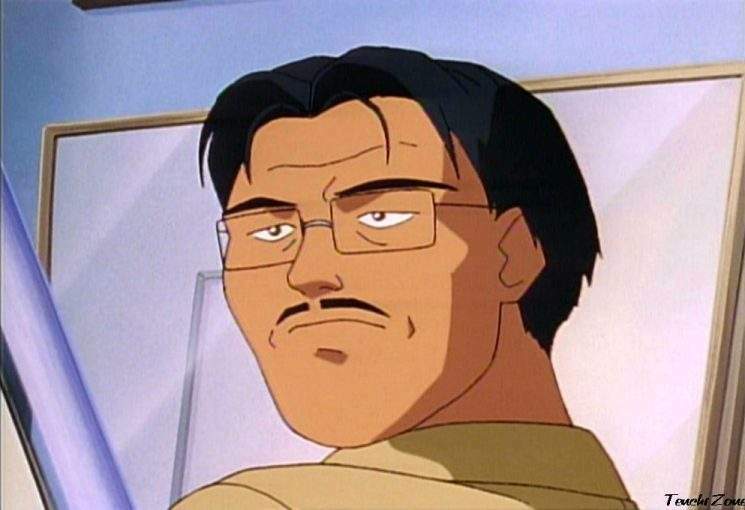 A widower, Nobuyuki Masaki is Tenchi's father. His work at the architect firm often keeps him out of the house (much to his disappointment), but he does find time to come home. Nobuyuki's main hobby is collecting shoujo manga (comics for girls), which he has a large library in the house. He also has a bad habit of being a "Peeping Tom."